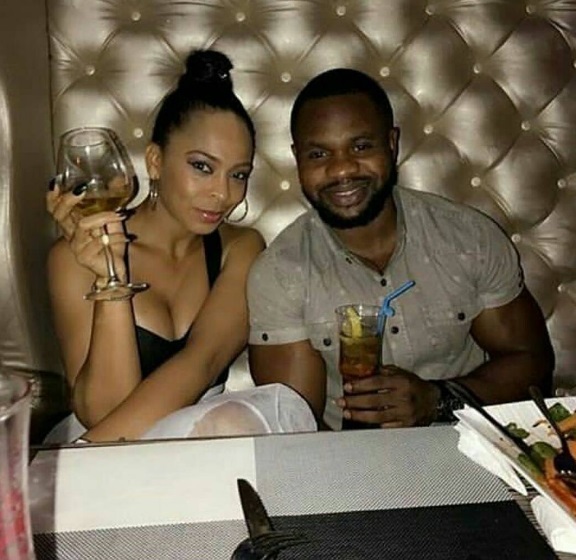 Disqualified 2017 Big Brother Naija contestant, Kemen, during a chat with Sunday Scoop revealed he and TBoss are still in talking terms and they most times reflect on what happened that got him disqualified from the Big Brother Show. Recall, he was caught on camera groping a sleeping TBoss and touching her inappropriately. During a chat with Sunday Scoop, he made it known that things were not easy for him, and moving on after the incident was herculean, but he tried his best to make a better name for himself, and now, things are a bit rosy. “It is only right for me to attribute the turnaround to God. We have two kinds of people in the world – those who have things come easily to them and those who fight for everything they have. I am the type who had to fight for all I have in life. I have never won a lottery; so, I had already told myself that if I didn’t win the prize money on BBN, I wanted to have an outing that would make my life a bit better. But when I was disqualified in an unpleasant circumstance, I felt it could be the toughest moment of my life. But later, I said to myself that I had faced tough moments; I could decide to make it the toughest or see it as one of those moments and move on. According to him, the drive to move forward was bigger than the setback. “Being a personal trainer, 90 per cent of what you do is to motivate your clients; so, you cannot motivate them when you cannot handle tough situations. During those times, I focused on the things that I felt were important, which were promoting my gym brand and listening to people who wanted me around them. He explains that whenever he is with Tboss, they talk about the ugly event that made him leave the reality show. Sunny Green Itodo famously known as Dope Blogger is a multiple award-winning blogger,music promoter,song writer,event planner and talent manager. He is the MD and Co-owner of Greenbox247 Media & Entertainment Ltd.